A frame made of FSC® 100%-certified wood with 81 solid cubes. Multiplication equations are on each cube with the solution on the opposite sides. 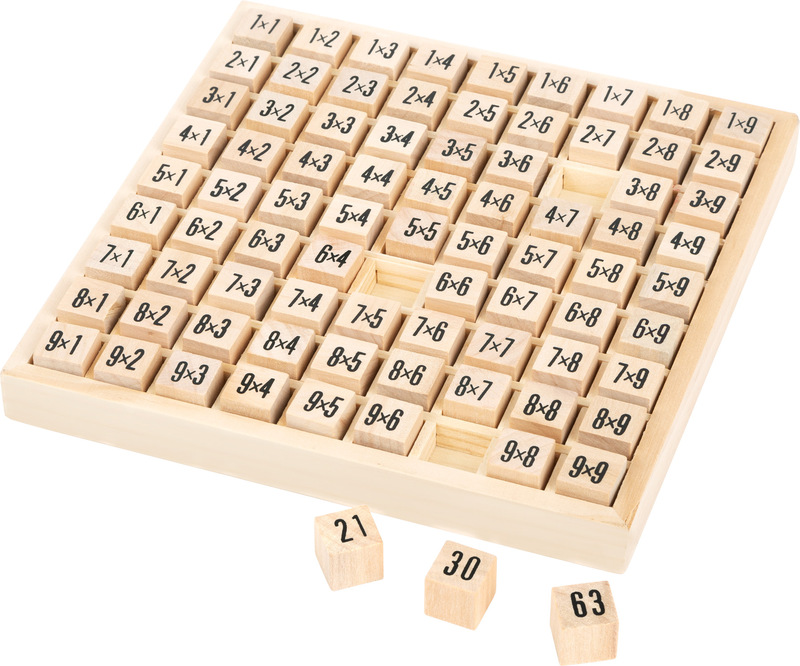 Four sides are blank and can be filled with your own equations! 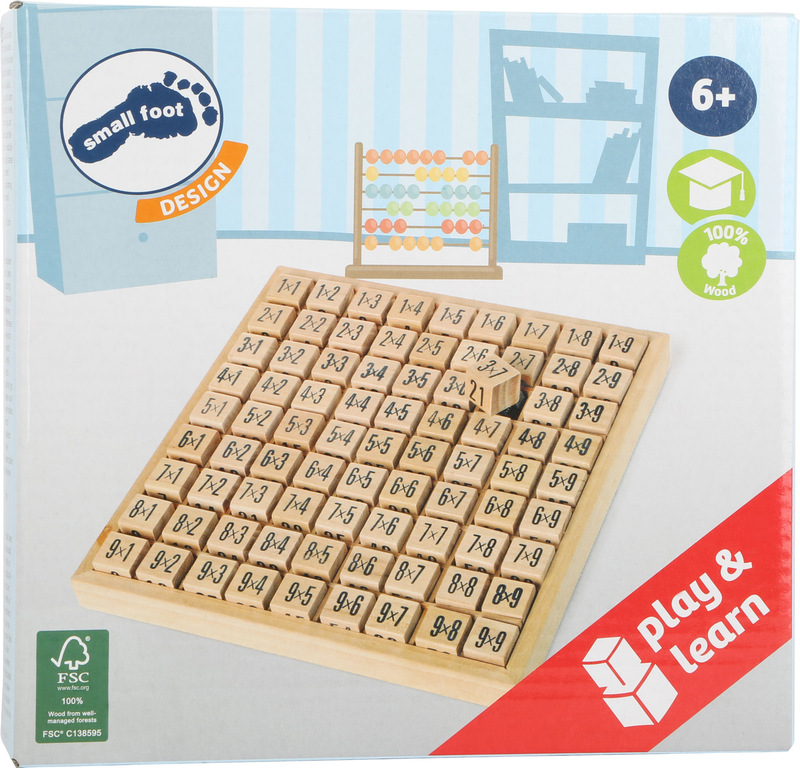 Children can playfully learn maths with this product. Please note that this product previously had the product number 7583.